WIN YOUR SHARE OF OVER $2,100 IN SCOTTS PRIZES! 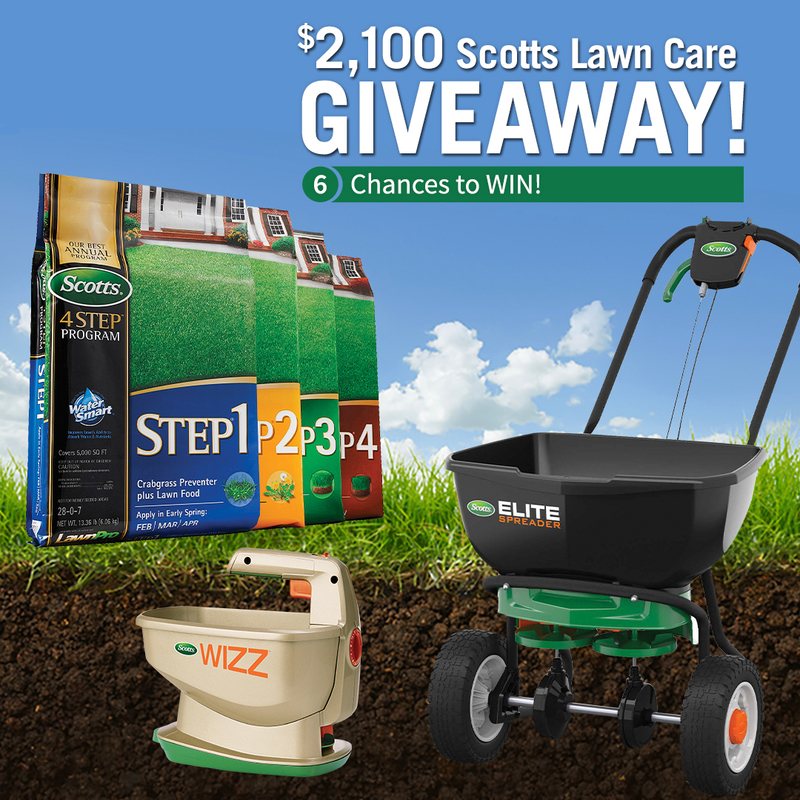 On May 1, we'll give away six prize packs, each including a Scotts Elite Broadcast Spreader, Scotts Wizz Handheld Spreader and a complete Scotts 4-Step Annual Program. Feed your lawn all year long with the Scotts Lawn Care Giveaway powered by doitbest.com! Receive our emails for future giveaways and deals! This promotion is managed by Doitbest.com. Participation in this promotion is subject to the official rules.